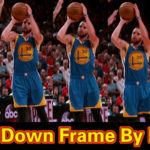 This article I will share you Stephen Curry’s professional sideways shooting skill. 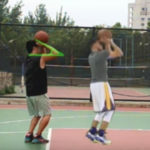 When I was young, many traditional basketball coach said that we must face to the basket, after shooting we should keep the front of our body facing the basket. 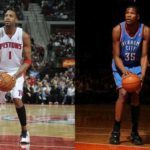 Basketball shooting technique has been evolved, we all want to improve our shooting ability, we want master the progressive basketball skills, it will help us to dominate the game. 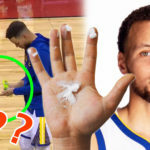 In recent years, the basketball shooting skill is changed, we always need shoot further than before, so the old shooting style is no longer suitable for today’s basketball game. 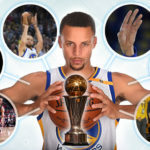 Many basketball players try to improve their shooting skills, such as Michael Jordan, Kobe Bryant, Tracy Mcgrady, Carmelo Anthony, Klay Thompson(Front Shot), Kyrie Irving and Stephen Curry. 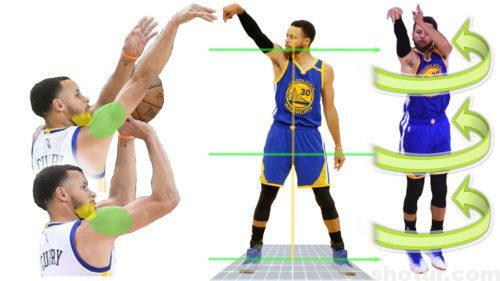 They are all great shooters and their shooting style all conform to the straight force shooting theory. 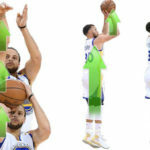 In these shooting styles, there are one feature they all have, that is sideways shooting style. 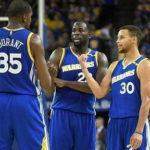 If you insist on basketabll shooting training for many years, you must want to know why the great basketball palyers shoot so well, such as Michael Jordan and Stephen Curry, why their shooting are better than the others. 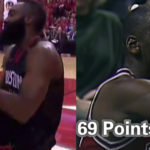 The main reason is they master the most progressive shooting skills, the feature of this shooting style is sideways. 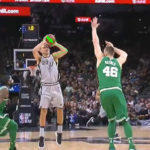 Why they all shooting with the sideways shooting form, why the sideways shooting form is the most conform to the straight force shooting theory, why this shooting form make our shooting easier and further and more accurate. Now let me show you the details about Stephen Curry sideways shooting form. Sideways shooting has three advantages. The 1st advantage is sideways shooting form free your right arm (Lefty players is left arm). 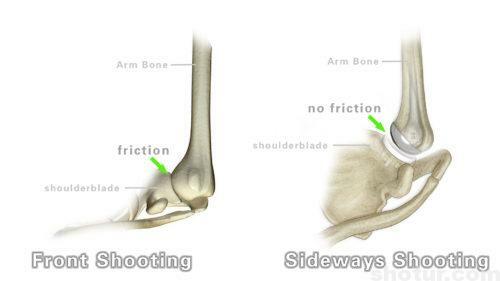 If you train your shooting skills with front shooting form in a long time, you will find your arm bone and your shoulder has a little friction, it will hinder your shooting. 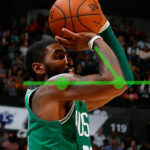 If you shoot with sideways shooting form, you will feel your right arm is completely free, your shooting will be more comfortable. The 2nd advantage is sideways shooting is easy to make more force to release the ball. When we want to make a long shot or even a super long shot, our forearm and arm always need the smallest angle. When we make the set point we will find that our hand and the ball will hit our forehead. We can hold the ball higher or shoot with sidaways shooting form. 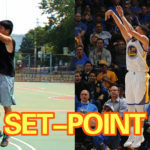 Almost all of us choose the sidaways shooting form just because this set point make our shooting very stable and comfortable. 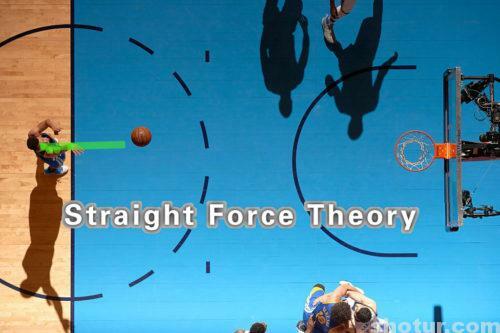 The 3rd advantage is the sidaways shooting form is conform to the straight force shooting theory. When we make set point with sidaways shooting form, our elbow, forearm, arm, wrist, hand,eye sight line and our body all in a same line. This will help us to shoot the ball with a perfect straight force. Our shooting will be more accurate than front shooting form. 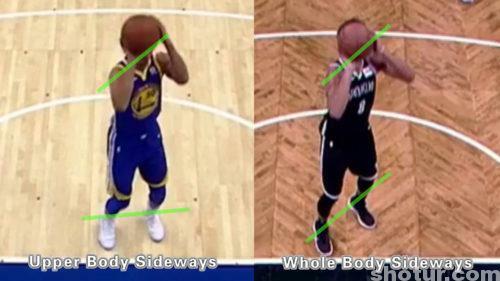 In fact there are two sideways shooting types, the 1st type is whole body sideways shooting form, the 2nd is upper body sideways shooting form. 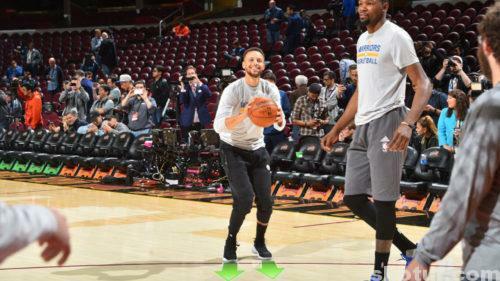 Stephen Curry’s shooting is upper body sideways shooting form, so does Michael Jordan. 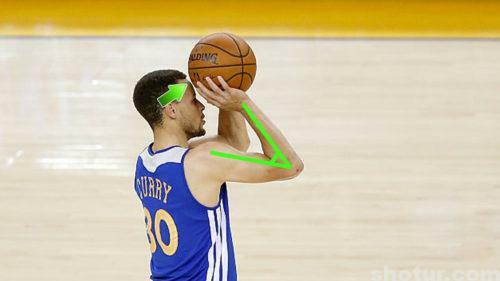 Why the great basketball players all shoot with upper body sideways shooting form? 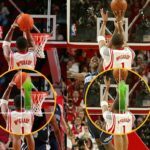 The main reason is the upper body sideways shooting form is easier to jump up than the whole body sideways shooting form. So we can find when Stephen Curry shoot, his two feet and legs are similar to the front shooting form, but the upper body is completely conform to the sideways shooting form. 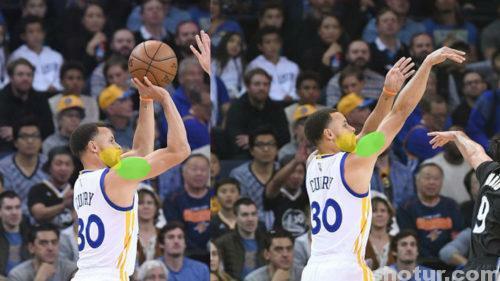 Look on the side, Stephen Curry’s shoulder is almost in front of his chin, after shooting, his shoulder will all in front of his chin. His body is swivel in the air just because the upper body sideways shooting force, so we also call it aerial swivel shooting form. Before we shoot, our body almost front, only our upper body has some sideways feature, but after shooting, our whole body will be completely sideways. 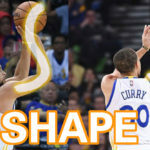 That is Stephen Curry’s sideways shooting form. This article is just end here, the more sideways shooting skills I will show you in later posts. Sorry I commented twice did it in the wrong post, what am saying is that I did the sideways shooting form 1 week before your video about it, and I lost it then. Please can you explain how to do it because I was not sure how I did it in the first place. No matter, you can leave comment in any post, I can see and reply later. 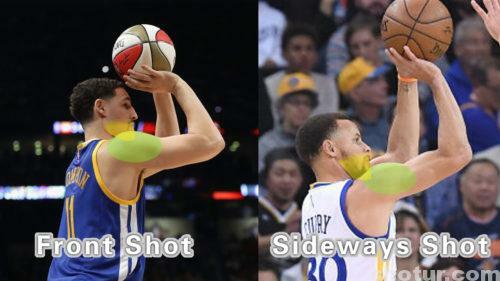 Sideways shooting is still a front shot type, your right shoulder is in front of your body and lead your body sideways. Your right arm almost in the front of your upper body when you make the set-point, and the release force will also take your body a little sideways. And can you explain what your said in the comment above please? 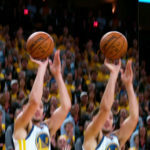 How do I shoot do the technique of sideways shooting and how do I apply it to my shot so I can shoot with high arc and long shot. When would u make a video about it? 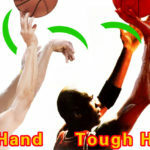 The sideways shooting just for liberating your right arm to shoot, so your right shoulder a liitle foreward will help you shoot with right arm comfortable. The cideos about sideways shooting will be more than one, but may be not in these two months. What’s the hold up? We love your content we need it now. That means lift the ball or elevate the ball from your waist to the set-point. Thank you, my English really not good enough, so I improve it every day, I will publish videos every month, when my English learning finished, I will publish more videos in every month.